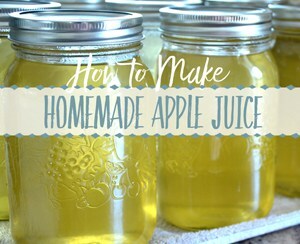 This project was motivated by Hillary from Old World Home. 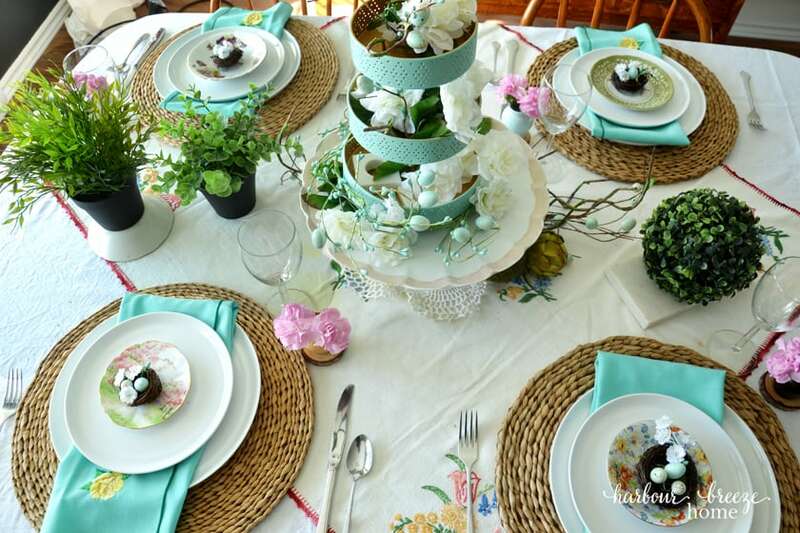 Each season, she invites participants to join in a $5 Goodwill Challenge. 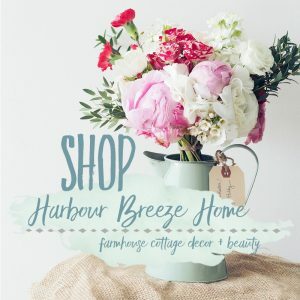 The instructions are to purchase something at a thrift store or garage sale, and then use it somehow in the current season’s decor. 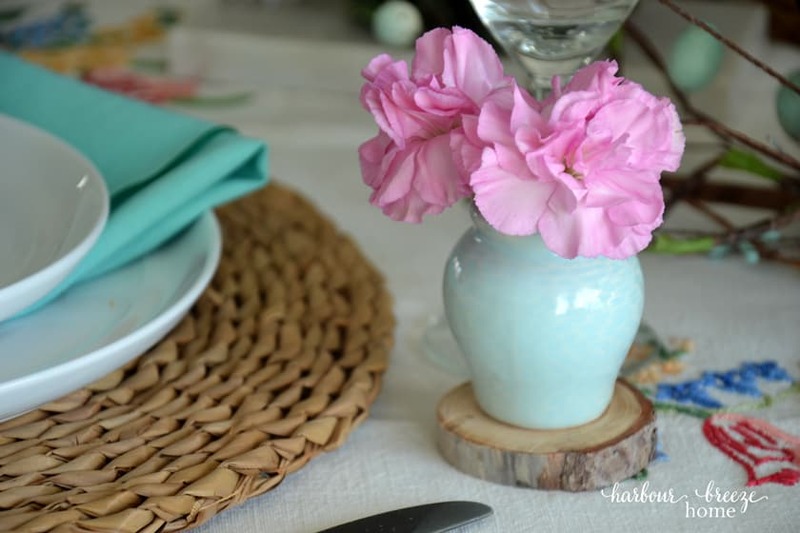 A floral pick and some aqua linen napkins. 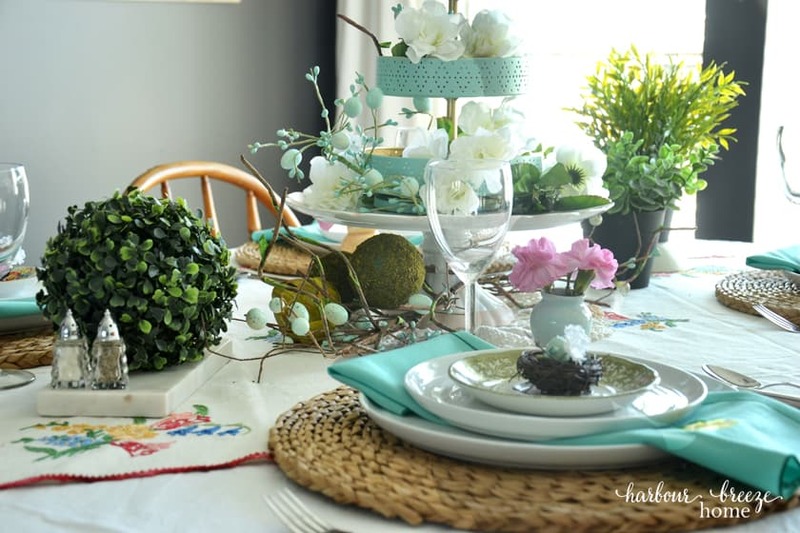 I decided to use those items as inspiration in putting together a fun and fresh Spring tablescape. I call it my “Pottery Barn meets Anthropology” look. 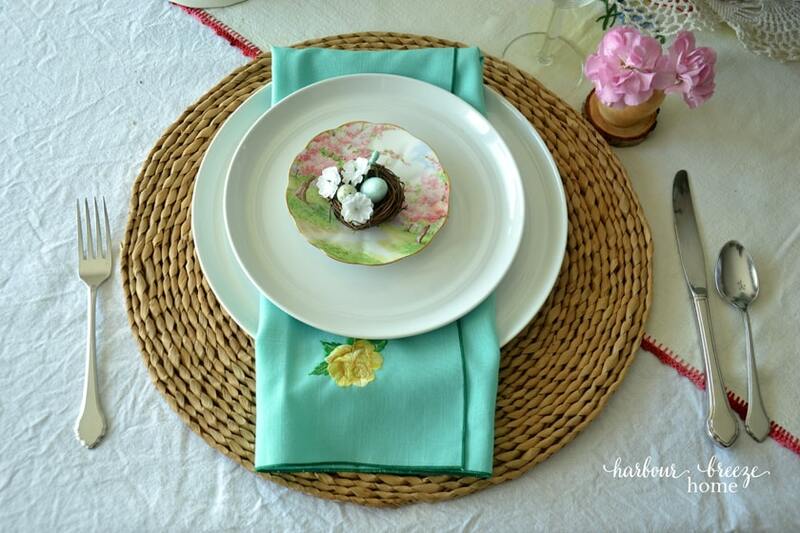 An embroidered linen tablecloth, mixed print china plates, and my Grandma’s doily add in a touch of vintage and pattern. 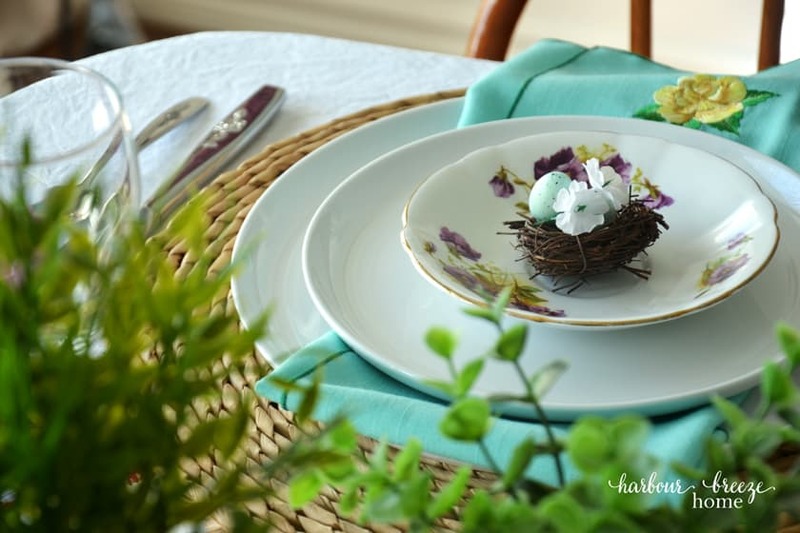 The floral picks from the thrift store had cute little nests that were perfect to put on top of each place setting. A few tiny eggs were also snipped off the picks and put inside. 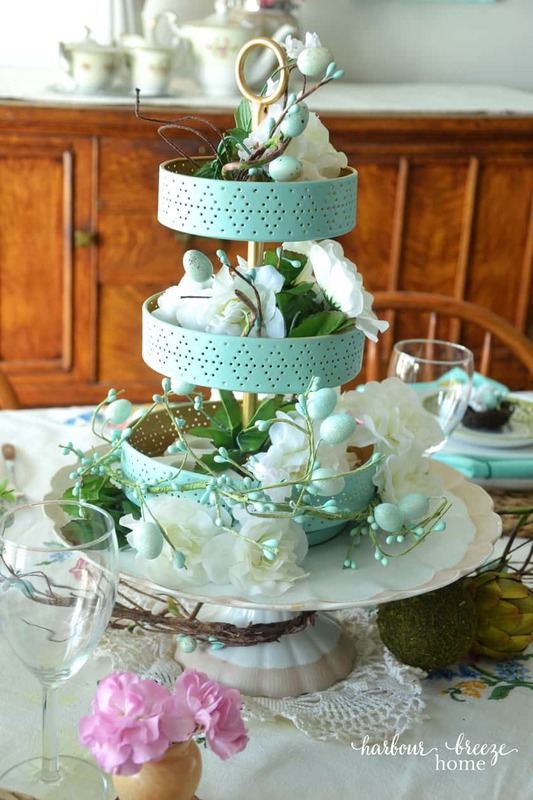 A tiered aqua tray (that I got at my clearance sale haul at Homesense) fit perfectly on a vintage cake platter and provided a centerpiece with height. 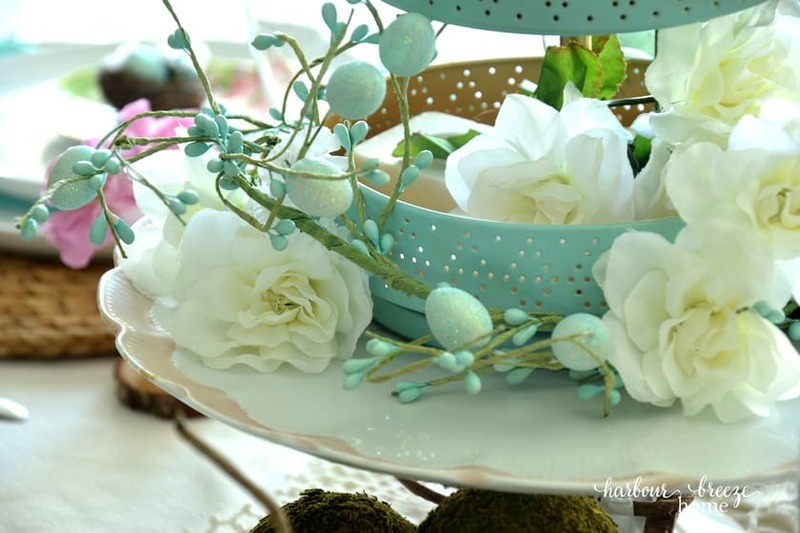 I wove the wires of the floral picks into each of the trays and around the base of the cake stand. 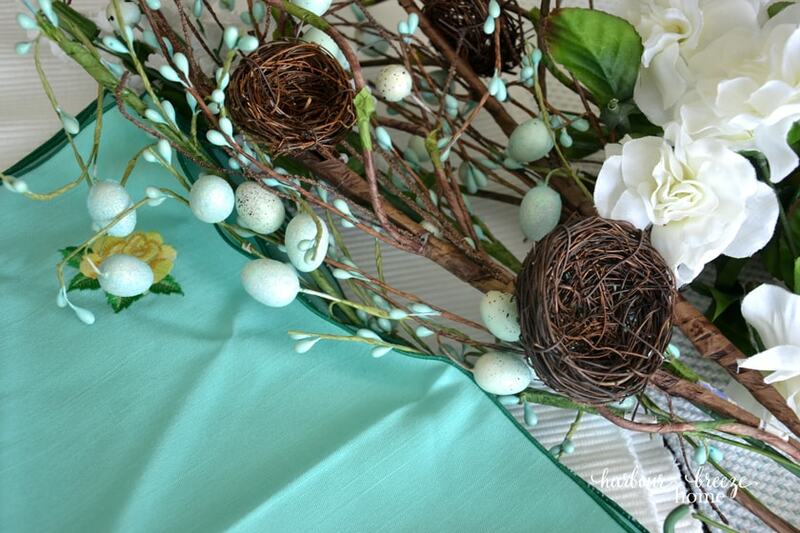 I just love the sparkly aqua eggs mixed with the white silk flowers. 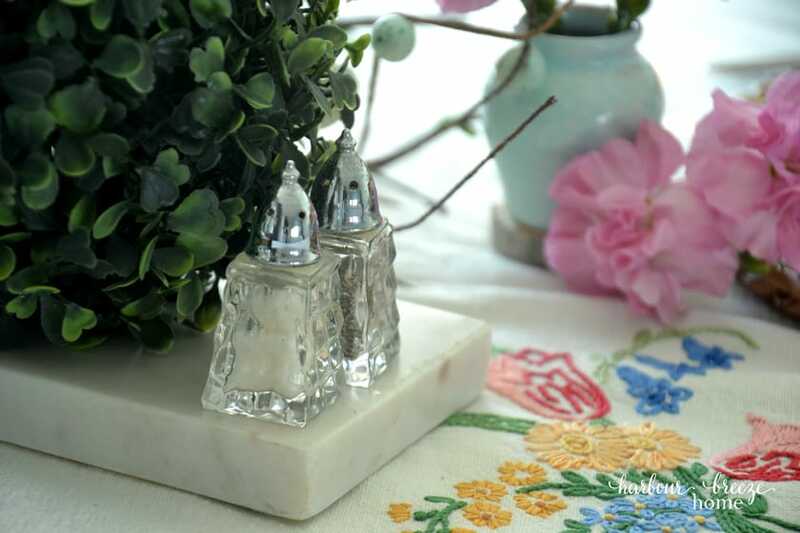 A little wood slice is the perfect perch for miniature bud vases to set beside each place setting. Thank you, Hillary, for encouraging me to get thrifting and be creative. I had so much fun putting this together! I love the aqua! 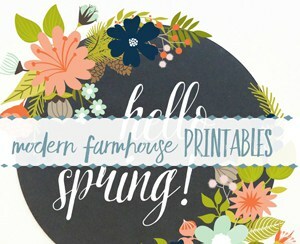 So fresh and so much like spring! Simply beautiful Rita! 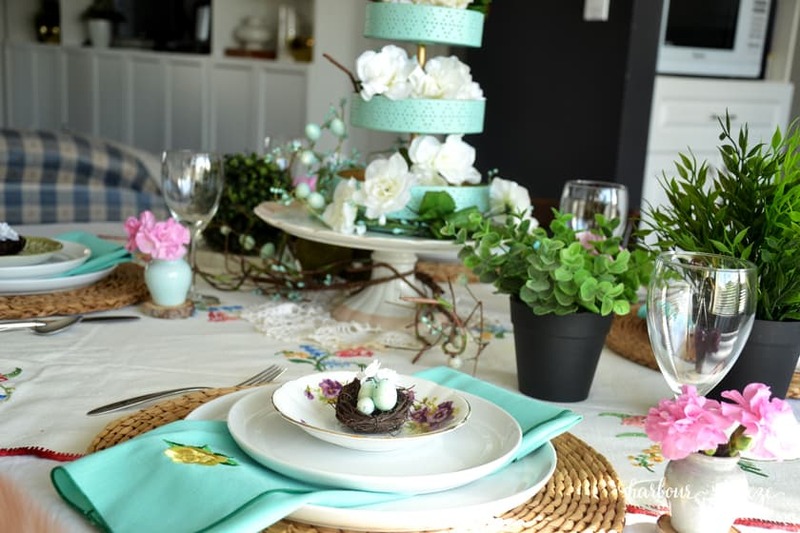 I absolutely love a pretty tablescape and yours is no exception!